Here you can find the abstracts of chapters that have been included in edited volumes. Those contributions cover the whole range of my research interests: EU law, comparative constitutional law and conflict resolution theory. The Spanish and the UK constitutional orders are asymmetrical as to the level of autonomy that the various regional governments enjoy but also as to the kind of relationship each and every one of them develop with the metropolitan State. The paper provides for a comparative analysis of the role that the (sub-)constitutional statutes play in Spain and the UK in reflecting political asymmetries and creating constitutional ones. It argues that the processes that led to the drafting of the relevant documents have taken into account those very different political aspirations that certain ethnic and political communities had in those countries. At the same time, the distribution of competences between the various tiers as regulated by those statutes has translated the de facto political asymmetries into de jure constitutional asymmetries. The main research question of this contribution is how the Cyprus issue is linked with Turkey’s accession negotiations from an EU law point of view. In order to respond to this question, the chapter focuses on the Negotiating Framework for Turkey. The reason is that the accession negotiations are conducted in accordance with it, as it sets out the method and the guiding principles of them. In the first part of the chapter, the Negotiating Framework is placed within the wider legal framework of Turkey’s EU Accession negotiations. It is argued that although the document itself does not have legally binding effects upon Turkey, the EU Member States are legally bound to scrutinise Turkey’s progress against the priorities contained in it. In its second part, the chapter analyses respectively the legal implications of each of the priorities that is connected to the Cyprus issue. The overall argument of the chapter is that the normalisation of Turkey’s relations with the RoC is deeply embedded within the accession conditionality. Thus, it is to be expected that the ramifications of the age-old dispute would influence Turkey’s accession negotiations. At the same time, the Negotiating Framework does not seem to offer a comprehensive roadmap for the settlement of the international dispute. Thus the Framework does need seem to provide for the much needed ‘catalyst effect’. The chapter examines the possible channels of regional participation in the Union policy-making processes both at the national and at the EU levels. With regard to the national level, the chapter mainly focuses on the constitutional orders of those Member States where the regional tier enjoys a constitutionally grounded claim for participation in the policy-making processes. In particular, we refer to the duty that some of the governments of those Member States have to inform their sub-State entities, and to the mechanisms provided for the participation of the regional tier in the formulation of the EU position of the Member State. Concerning the EU level, we examine the presence of the regional tier in the Union institutions and analyse the new system for subsidiarity compliance. The very presence of such institutional framework renders –partly at least – the ‘regional blindness’ thesis obsolete. However, the fact that only rather a limited number of entities benefit from those arrangements sheds light on the asymmetries of the EU’s constitutional order and points to the fact that we are still far from the enthusiastic vision of a ‘Europe of the Regions’ as described in the 1990s. 4. 'Gestión de los Estados Plurinacionales Europeos: Consolidando el consocialismo a través de los sistemas electorales' [Managing the European Plurinacional States: Consolidating Consociationalism through the Electoral Systems] (with E Dinas) in Tribunal Electoral del Poder Judicial de law Federación (ed. ), Sistemas electorales y principios constitucionales [Electoral Systems and Constitutional Principles] (Mexico City, Tribunal Electoral del poder Judicial de la Federación, 2012) 132-165. Lijphart has argued that ‘for divided societies, ensuring the election of a broadly representative legislature should be the crucial consideration, and P[roportionate] R[epresentation] is undoubtedly the optimal way of doing so.’ Despite this assertion, European plurinational States have used a number of different electoral systems in order to effectively accommodate ethno-linguistic and religious cleavages in a consociational manner. The scope of the paper is twofold. On the one hand, it aims at mapping how consociationalism is echoed in the electoral systems of certain European plurinational States, where power-sharing arrangements are in place. To achieve this goal, the paper describes the consociational variant in the constitutional structures of three European divided societies and how the consensus model of democracy has been translated in their electoral systems. On the other hand, it consists of an effort to assess whether and, if so, the extent to which the relevant electoral systems have been successful at consolidating the consociational principle by focusing on the elections that have taken place in those political systems. By looking closely at the interplay between public opinion and political actors’ issue stances in those societies we are able to test whether the chosen electoral systems in the aforementioned power-sharing arrangements have favoured parties with a more consociational agenda over time or whether parties with a more ‘separatist’ one have managed to dominate the political arena. Overall, the present paper questions the success of consociationalism to bridge the ethno-linguistic and/or religious cleavages in the divided societies of Europe. 5. 'The Legal Dimensions of Cypriot Membership' in H Faustmann, J Ker-Lindsay and F Mullen (eds), An Island in Europe: The EU and the Transformation of Cyprus (London, IB Tauris, 2011) 42-64. By mapping the partial application of the acquis in northern Cyprus, this chapter shows how the Union has managed to accommodate the Cyprus dispute within its legal order by adopting a seemingly depoliticised and technical approach when dealing with issues arising from it. It argues that although, politically speaking, the situation remains far from ideal, still, the Union has managed to absorb some of the stresses of the partition of the island by offering a mechanism that has enhanced the lives of the inhabitants on the island and has supported the normalisation of the relations between the two ethno-religious segments but also between the Turkish Cypriot community and the Union. The paper follows the structure of Protocol No 10 and analyses the relevant Union legislation and case-law that have further implemented and interpreted its provisions. The aim of the paper is to discuss the territorial suspension of the acquis in northern Cyprus by briefly comparing it with analogous situations in Europe. It comments on Protocol No 10, analyses the relevant Union legislation and case law that have further implemented and interpreted its provisions and compares the status of northern Cyprus under Union law with relevant paradigms when appropriate. The relevance of such comparative approach is not so much a matter of identifying similar factual/ political/ legal problems but rather of looking at other cases in which the integrity of the Union legal order has come up against national constitutional challenges. 7. 'The European Courts as Political Actors in the Cyprus Conflict' in F Snyder and I Maher (eds), The Evolution of the European Courts: Institutional Change and Continuity (Bruylant, 2009) 235-257. The European courts have faced on several occasions questions arising from the Cyprus Gordian knot. The judgments inter alia of the European Court of Human Rights in Loizidou and in Xenides-Arestis and of the European Court of Justice in the Anastasiou saga and in Orams, have significantly altered the background of that ancient political conflict. The thesis of the paper is that although the courts have not refrained from becoming actors in this unique political situation by adopting a ‘political question’ doctrine, their jurisprudence points to the limits of an ‘incremental solution’ through the legal process and thus proves that in issues of grave political importance it is only a more democratic and deliberative procedure that could provide for a comprehensive solution. In order to achieve its scope the paper examines thoroughly the relevant case law on the protection of human rights in northern Cyprus and analyses the jurisprudence of the European courts on the issue of trade relations with the North. 8. 'Taking EU Membership into Account: Strict Compliance or Accommodation?' (with M Cremona) in A Auer and V Triga (eds), A Constitutional Convention for Cyprus (Wissenschaftlicher Verlag Berlin, 2009) 49-62. A possible solution based on a bi-zonal and bi-communal federation and political equality of the two communities, as agreed by them in numerous occasions and as described in UN Resolutions, would give rise to compatibility issues with EU law. Such a conclusion should not be read as excluding the possibility for the Union to accommodate a settlement that would contain derogations from Union law, given that Protocol No 10 to the Act of Accession of 2003 enables the EU to accommodate the terms of a settlement. This argument is also in accordance with the Union practice of accepting territorial exceptions to the application of the acquis. What remains to be answered is whether there are some provisions of Union law that could not be disregarded in the designing of a future settlement and thus strict compliance with them is a conditio sine qua non for the drafting of a settlement of the conflict. The paper analyses the EU citizenship status of the inhabitants of northern Cyprus. 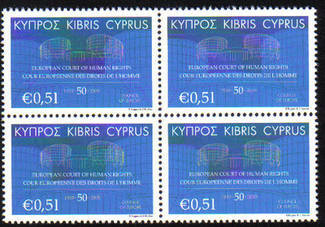 It does so by briefly reviewing the concept of EU citizenship; referring to the historical background of the Cyprus problem; analysing thoroughly the relevant provisions of the Constitution of Cyprus and the citizenship laws of that State; describing the sui generis case of the settlers; examining whether the new “Green Line” Regulation creates a de facto EU citizenship status for the inhabitants of northern Cyprus and discussing possible implications of Loizidou v. Turkey cases of the European Court of Human Rights.